Chroma Squad combines easy to utilize tactical combat with a flare of homage. Good use of pixel art; A great homage to the 90s Power Rangers; Easy to understand tactical combat. Upgrade trees for giant robot a bit confusing; Management of studio seems to make no sense. 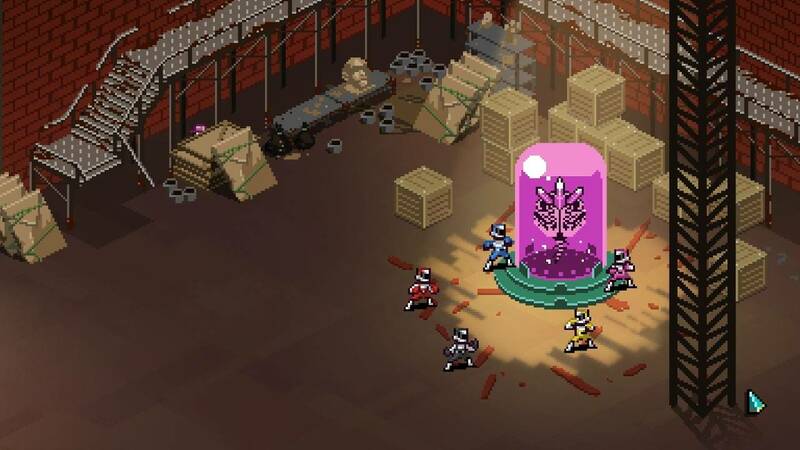 It makes sense when you are paying homage to a classic television series like Power Rangers, and really ALL Sentai properties, to perhaps have a classical fare to it. 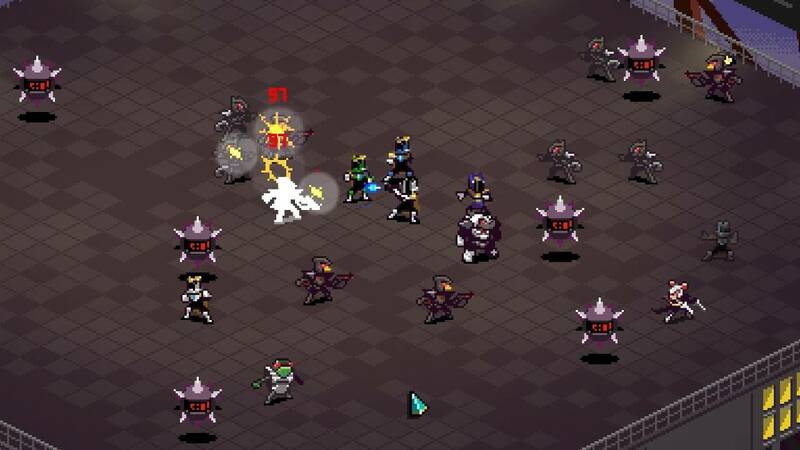 That is why is so refreshing to see Chroma Squad not only have a great aesthetic to it, but it has a fun story with its combat. 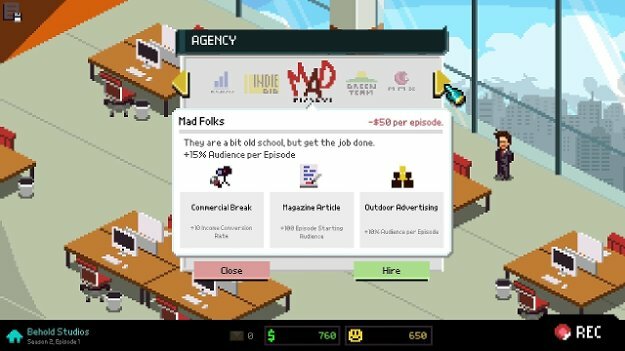 For its look, Chroma Squad has a wonderful presentation with its pixilated graphics to go along with its retro aesthetics. Even when skipping cutscenes, it looks like fast forwarding a VHS tape and even the sounds effects sound like they are coming from a blast processor. Bleeps and bloops from consoles of past generations makes it feel like you played these games after watching your Saturday morning allotment of Power Rangers episodes. With its presentation, it goes so well with its storytelling. You start as five actors working on a Power Rangers-esque show, but feel like you can do a better version of it, leading to you breaking away and forming your own studio and show. While in combat situations, you will see cameramen placed around the map and even giant light fixtures that highlight your giant robot boss battles. It works exceptional together and forms a cohesive feeling of a studio that is just getting off the ground with low production values. 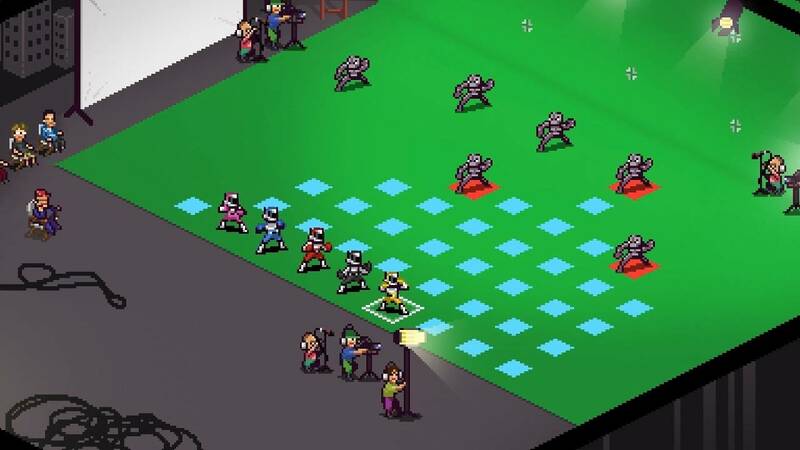 Chroma Squad’s combat is a very welcoming to those who perhaps don’t feel very comfortable with turned-based tactical role playing. Your five heroes have movements that make is very easy to reach enemy units, but seems very weird when you can move passed a unit, but for some reason not attack them. Your attacks also can do extensive amounts of damage to units where you don’t feel like you are in danger of losing even on lower difficulties. Playing games in the past such as XCOM: Enemy Unknown on easy even had me sweating bullets when missions got really close to failure. Here, I don’t feel dread with every mission I undertake. I feel confident I can complete an episode; my main concern is actually completing bonus objectives. Combat is very flashy and the special moves add that Power Rangers feel to it where you characters can pull off feats such as team-up attacks and weapon attacks that can target multiple units. 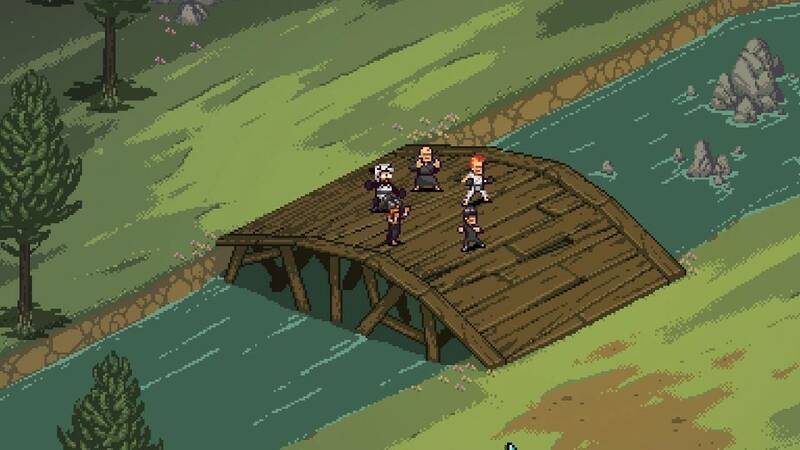 Completing bonus objective is what flows into the base management system with Chroma Squad. Aside from completing fights, it is up to you to make sure you get a steady influx of cash coming in and fans of the show. Cash is then used to buy materials to craft or outright buy new and better gear for your characters and hiring ad agencies to help give you bonus money and fans. You even get emails from vendors and some enthusiastic fans of the show that you can send replies to gain extra perks. At first, I thought it was an easy system to manage, however for some reason after completing an entire season with more than $23,000 of cash gained while only spending about $1,000 dollars, gaining a plethora of new fans and completing mainly every bonus objective in each episode, I still got a season rating of poor and was threatened with cancelation. After all I had done, I still had no idea what I did wrong. I had a high number of fans each episode, got good tweets from audience member and even answered fan emails to the delight of faithful watchers. None of it made any sense why the studio thought I was giving them a bad product. Also, during one season, I wasted a sum of my money and crafting material trying to upgrade my entire robot when I found out I was just upgrading one part. Upgrade trees for your giant robot perhaps could have used a bit more explaining at times. 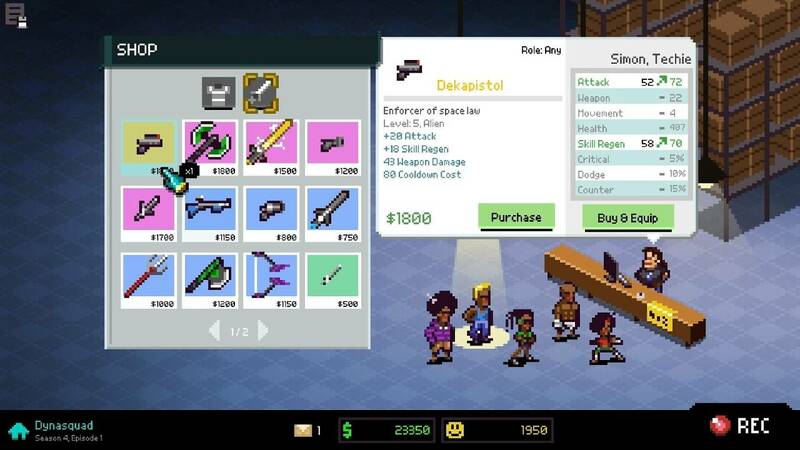 Chroma Squad is very appealing to those that enjoy tactical RPG fans and those who are not great at them like me. It feels very inviting. 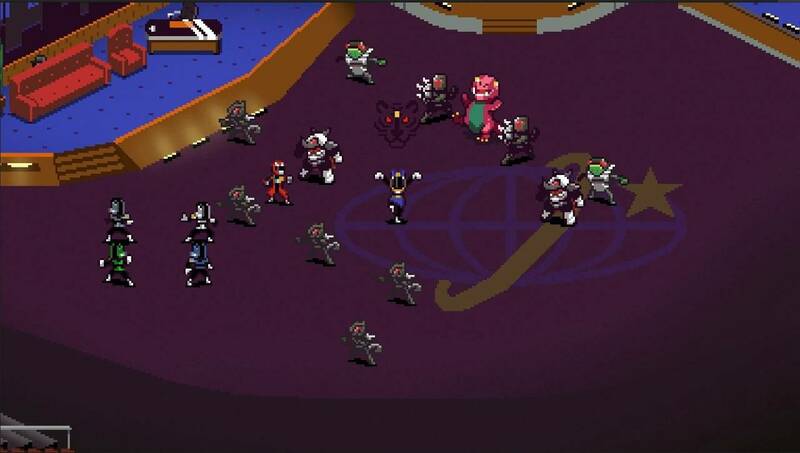 The story pokes fun at the entire Sentai series without ridiculing it and its combat is something I can get behind. I just wish when dealing with base management that it was a bit more thorough when explaining what constitutes as putting out a poor product for the in-game studio.